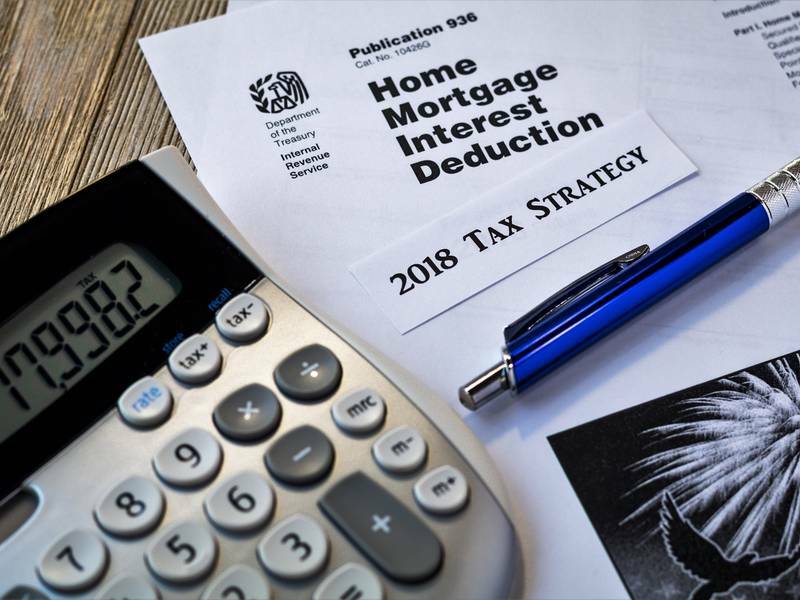 As we approach the end of 2018, those taxpayers who will still be itemizing deductions need to know about the important changes that the Tax Cuts and Jobs Act (TCJA) made in the rules for deducting home mortgage interest. This rule wasn’t changed by the TCJA. Taxpayers may continue to deduct interest on mortgage debt that is acquisition debt. Acquisition debt means debt that is: (1) secured by the taxpayer’s principal home and/or a second home, and (2) incurred in acquiring, constructing, or substantially improving the home. Under the pre-TCJA rules, the maximum amount that was treated as acquisition debt for the purpose of deducting interest was $1 million ($500,000 for married filing separately). This meant that a taxpayer could deduct interest on no more than $1 million of acquisition debt. Starting in 2018, the limit on acquisition debt under the TCJA is reduced to $750,000 ($375,000 for married filing separately). The $1 million, pre-TCJA limit applies to acquisition debt incurred before December 15, 2017, as well as debt arising from refinancing pre-December 15, 2017 acquisition debt, to the extent the debt resulting from the refinancing does not exceed the original debt amount. Thus, taxpayers can refinance up to $1 million of pre-December 15, 2017 acquisition debt, and that refinanced debt amount won’t be subject to the reduced limitation of $750,000 as indicated above. Under pre-TCJA rules, taxpayers could also deduct interest on home equity debt. Home equity debt, as specially defined for purposes of the mortgage interest deduction, meant debt that: (1) was secured by the taxpayer’s home, and (2) wasn’t “acquisition indebtedness” (that is, wasn’t incurred to acquire, construct, or substantially improve the home). Thus, the rule allowing the deduction of interest on home equity debt enabled taxpayers to deduct interest on debt that was not incurred to acquire, construct, or substantially improve a home on debt that could be used for any purpose. As with acquisition debt, pre-TCJA rules limited the maximum amount of home equity debt on which interest could be deducted to the lesser of $100,000 ($50,000 for married filing separately), or the taxpayer’s equity in the home. Starting in 2018, there is no longer a deduction for interest on home equity debt. The elimination of the deduction for interest on home equity debt applies regardless of when the home equity debt was incurred. Taxpayers considering taking out a home equity loan, i.e., a loan that’s not incurred to acquire, construct, or substantially improve the home, should take into consideration the fact that interest on the loan won’t be deductible. Further, taxpayers with outstanding home equity debt will lose the prior-law interest deduction for interest on that debt starting in 2018. Finally, it’s important to note that both of these changes, the lowered maximum for acquisition debt and the elimination of the deduction for home equity debt, last for eight years through 2025. In the absence of intervening legislation, the pre-TCJA rules will come back into effect in 2026. So beginning in 2026, interest on home equity loans will be deductible again, and the limit on qualifying acquisition debt will be raised back to $1 million ($500,000 for married filing separate). If you would like to discuss how these changes affect your particular situation and/or any planning moves you should consider in light of them, please give us a call.